My two great grandmothers and my grandmother on my father’s side were very much involved in charity work. 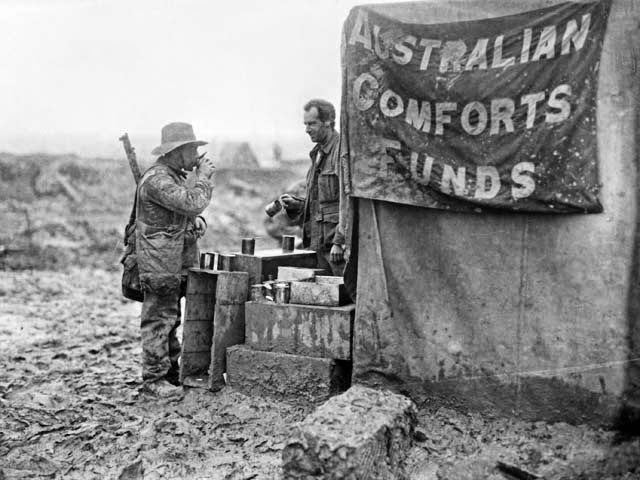 Their efforts are documented in Australian newspapers. Digitised versions of many of these are available at the National Library of Australia’s Trove website http://trove.nla.gov.au/newspaper?q=. Arthur Murray Cudmore was appointed to the Australian Imperial Force as an officer in April 1915. 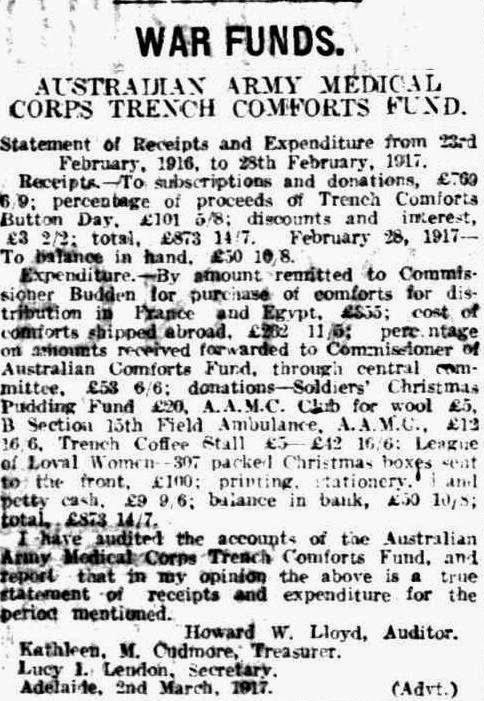 Wentworth Cavenagh-Mainwaring, the brother of Kathleen Cudmore senior and Arthur’s brother-in-law, joined the Australian Army Medical Corps in August 1914. In its first year the Fund had distributed comforts to France and Egypt. Christmas boxes had been sent to the front. 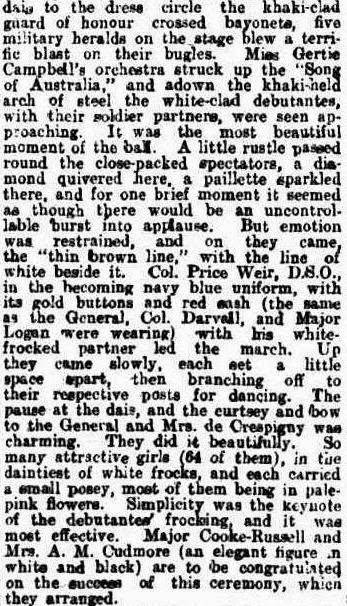 In June 1919 the Cheer-up Society ran a Victory ball very successfully at the Adelaide Town Hall. Mrs A.M. Cudmore was on the executive committee. Among other duties she arranged the debutantes’ set. The Mrs de Crespigny that the debutantes were presented to was my other paternal great grandmother.